If 10 years ago you’d told me I’d be happy to pay $42.00 for a lip balm, I would have said you’re flipping mad. No lip balm is worth that much! But Emile Cordon Cashmere-On Lip Pot is NOT a lip balm. It’s an experience. Everything, from the silky smooth texture to the glossy glass packaging screams luxury. The attention to the smallest detail is out of this world. Sure, it’s not something you’d use every day. It’s a little pampering luxury you get when you want to treat yourself for a job well done, a milestone reached or… just for the sake of it. Cos, why not? Now Emile Cordon is taking it to the next level. Their new range, Miracle Lip Balms, dresses your lips in both shine and colour. The best part? You can use them on the cheeks, too. Chic Chic Boom: A soft, neutral brown shade with a strong vanilla scent. You can use it both on lips and cheeks. I use it only on the lips, because I don’t like wearing brown on my cheeks. But it’s just personal preference. Moroccan Mint: Don’t let the green colour scare you. This baby applies clear on the lips. But it has a lovely minty scent and flavour. I use it all the time when I’m at home and don’t feel the need for colour. Powdered Rose: My fave of the lot, it’s a sheer but buildable warm-toned pink with coral undertones and a soft, vanilla rose scent. I use it often both on cheeks and lips when I run for errands but want to look well put together. 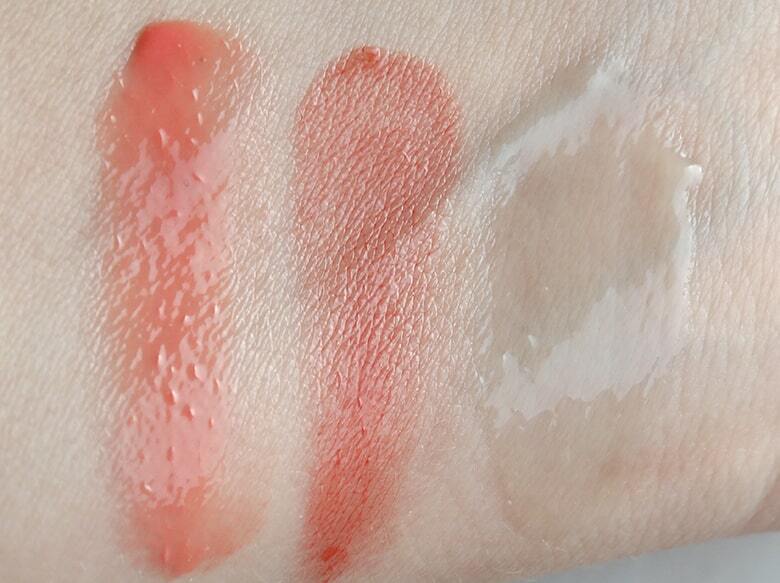 Chic Chic Boom and Powdered Rose are really sheer. One coat will give you lots of shine with the tiniest hint of colour. Two/three coats turn up the intensity of the shade, but you’ll never get full coverage. Emile Cordon Miracle Lip Balms are a blend of natural oils and waxes. 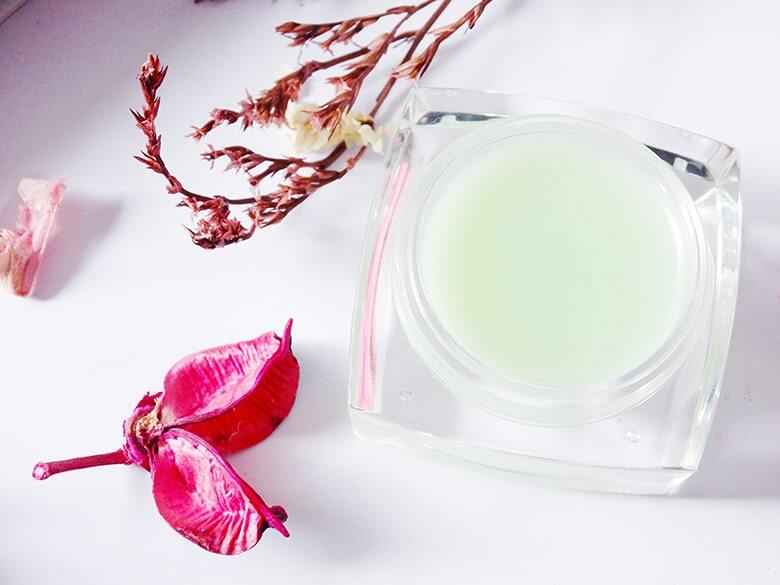 The waxes give the lip balm their shape – without the stickiness. The formula is thick, so you do feel like you’re wearing lip balm, but it doesn’t feel sticky or uncomfortable. The natural oils – castor and olive oils – are moisturising and keep your lips soft and smooth. It pains me to say this, but the package is the only think I don’t like (much) about Emile Cordon Miracle Lip Balms. The Original Cashmere-On Lip Pot has a stunning glass packaging with a gold lid. So. Luxurious. The Miracle Lip Balm come in plastic pots with a black lid. Cute but not as luxurious. It also cracks more easily, like I found out when I accidentally dropped one of the lip balms on the floor. Ugh. I do wish they had kept the original packaging (especially since these cost more. Ahem). P.S. Emile Cordon Miracle Lip Balm come with a handy spatula, so you don’t need to put your finger in the jar to apply them. 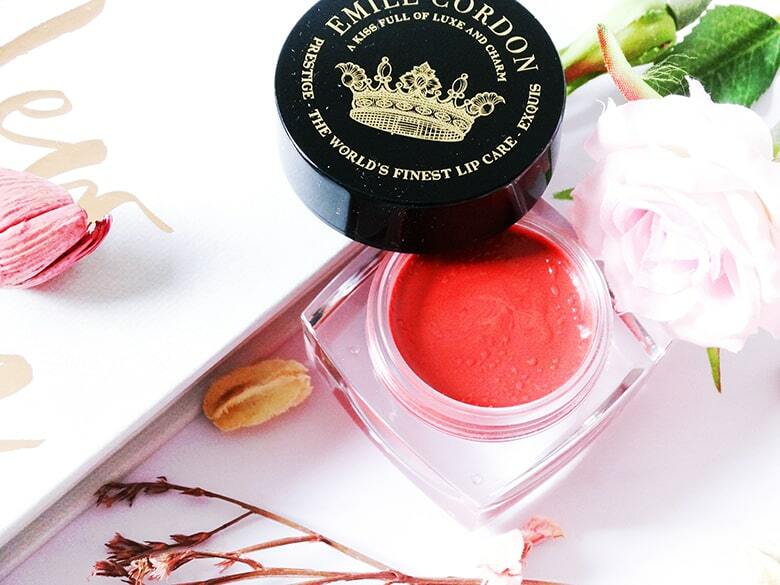 When I first met Emile Cordon lip balms, my lips were in perfect condition. I’m a lip balm junkie, so they always get all the TLC they need. These days, things are different. I’ve started wearing braces at the end of January and oh my, does the damn thing rub against my lips! If I forget to put wax on braces, my lips get all chapped. Enter Emile Cordon Miracle Lip Balms. They feel very moisturising on the lips, soothe them and help them heal more quickly. Phew! The best part? I don’t feel the need to reapply them every two hours. Sure, the colour is gone after that. 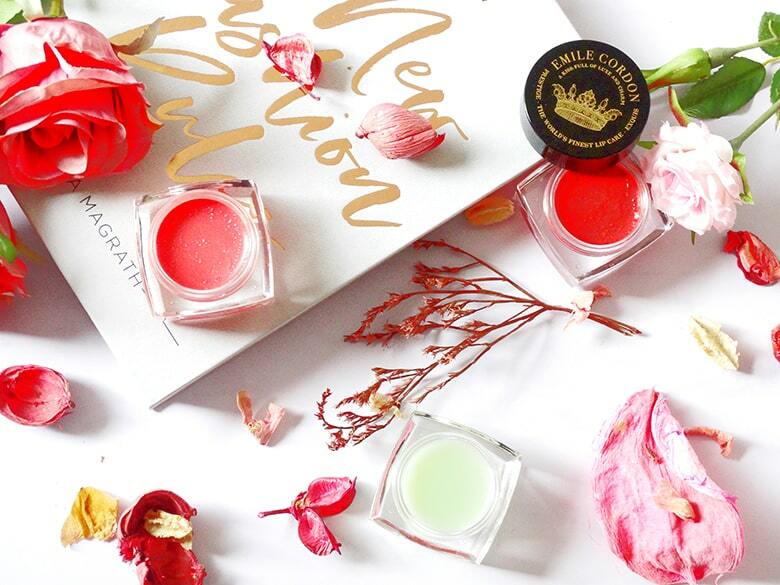 The balms are glossy, so the colour won’t hold onto your cheeks and lips for long. But the moisture? That stays on for hours on end. Emile Cordon Miracle Lip Balms are little luxury treats that give you lots of moisture, plenty of shine and a hint of colour (FYI, the moisture lasts way longer than the colour). 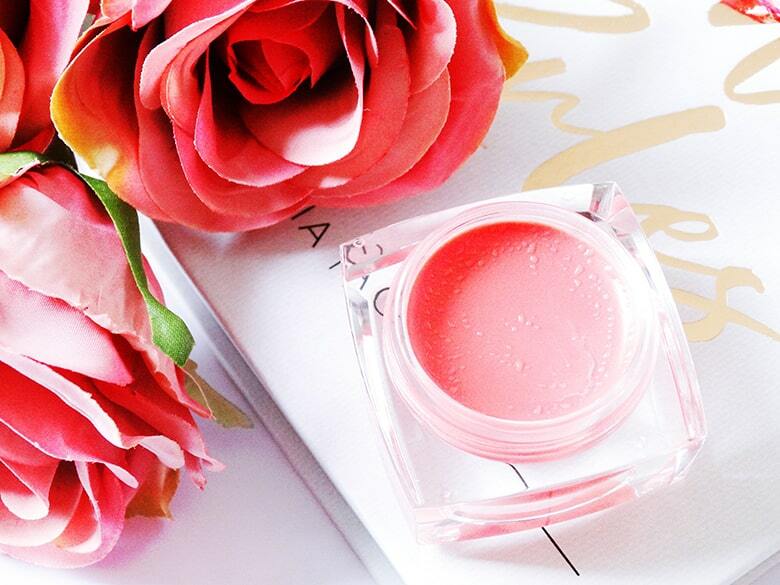 Have you tried Emile Cordon Miracle Lip Balms? Share your thoughts in the comments below. Hi Gio, I’m sorry but, didn’t you mentioned in one of your many posts that scented balms and fragrances can be highly irritating for skin and lips, especially the mint scent? I’m so confused right now. 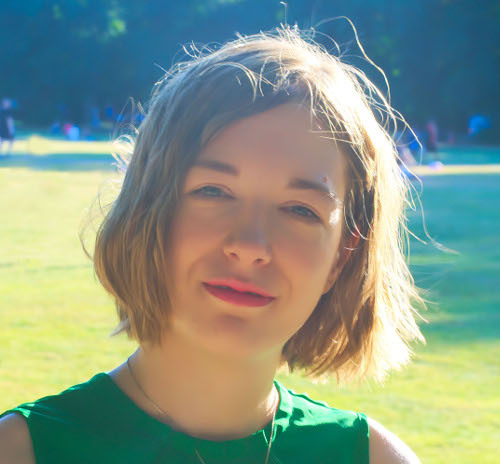 Ignacia, yes mint isn’t the best for skin and lips, but it’s important to put every information in context. If you have sensitive skin, that’s a no-no. If your skin/lips aren’t sensitive and you enjoy the scent of mint, then a lightly fragranced product won’t hurt you. Unless there is a ton of mint in it. A lot of lip products contain a very high concentration of mint to swell lips. That should be avoided by all skin types. In other words, how irritating an ingredient is depends on quantity and skin type.